Children of the 80s will surely remember the magical fantasy world that lay within the pages of Graeme Base’s picture book, Animalia. 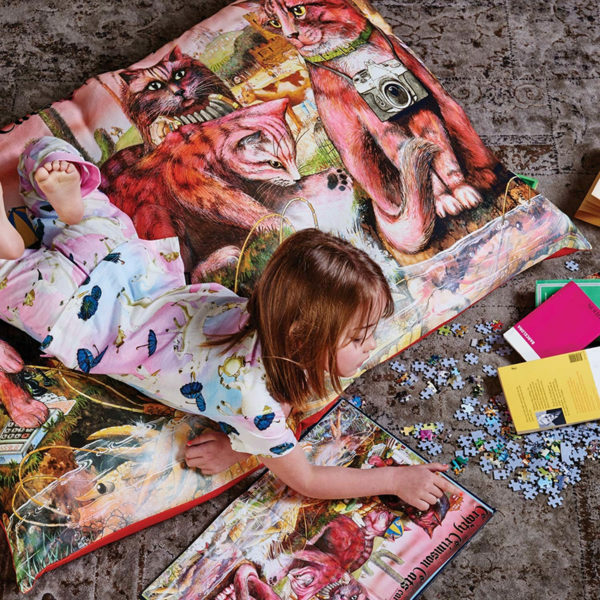 Kip&Co’s latest collaboration will see our very own children sleeping amongst the beautiful whimsy and wild illustrations Base is so well known for. One thing’s for sure, amazing dreams await! Kip&Co, together with Graeme Base, have launched a magnificent, majestic limited edition Animalia X Kip&Co collection of linen and accessories, which has to be seen to be believed. 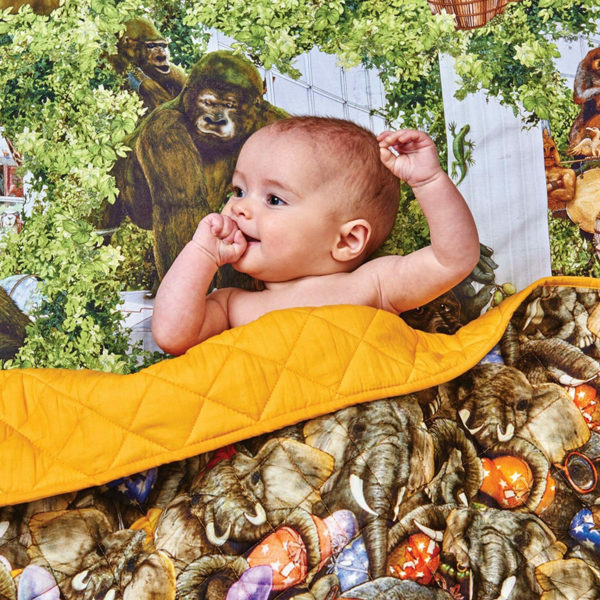 From swaddle packs to cot quilts and king single sheets, this collection leaves no stone, pillow or fitted sheet unturned in celebrating Animalia. For the babies of the family, not only can you kit out the cot in style, but these Kip&Co swaddles make for a fabulous gift. 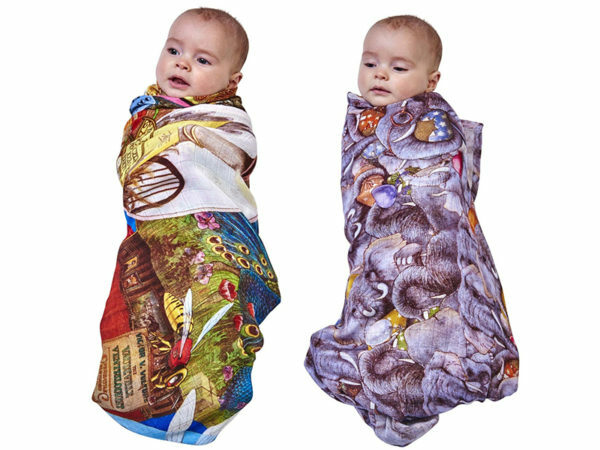 Priced $69 a pair, these swaddles are both generously sized and emblazoned in brilliantly coloured Animalia illustrations, including the gorgeous Enormous Elephants print. Make the bed head to toe in Animalia style with several prints available. Choose Green Gorillas, Proudest Peacocks, Unruly Unicorns and Crimson Cats and Crays, just to name a few. 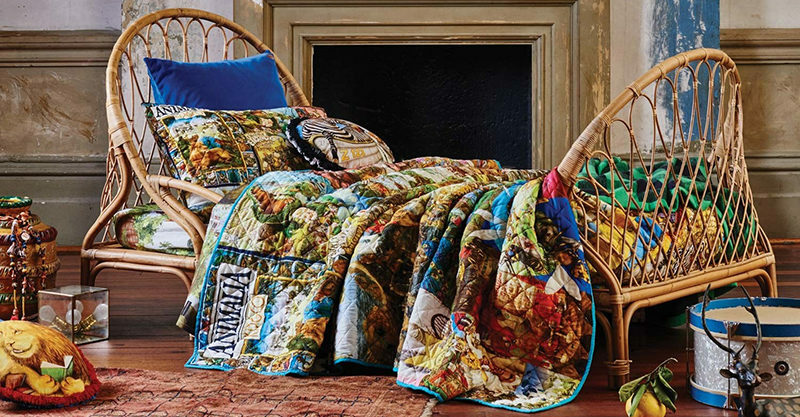 Fitted sheets, flat sheets, quilts covers, pillow cases, play mats and bedspreads are all available separately so you can mix and match to your heart’s desire. 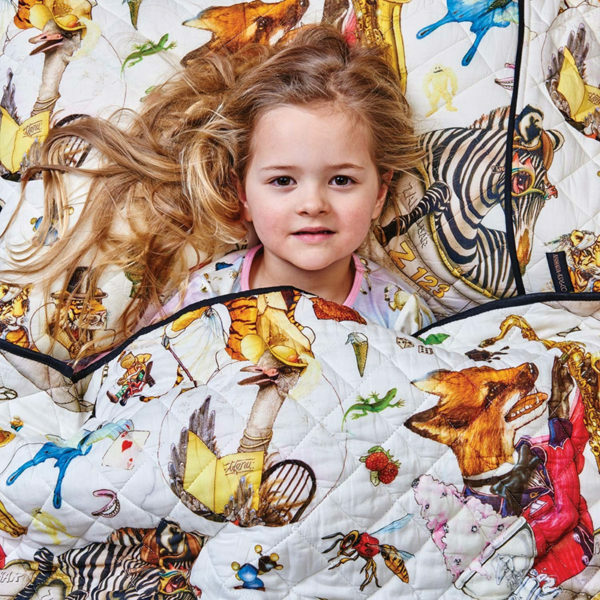 My favourite, the Birds and Beasts print (pictured above) is available as a quilted bedspread (priced from $99) and quilted pillow case ($59), perfect for surrounding yourself in the most whimsy menagerie imaginable. 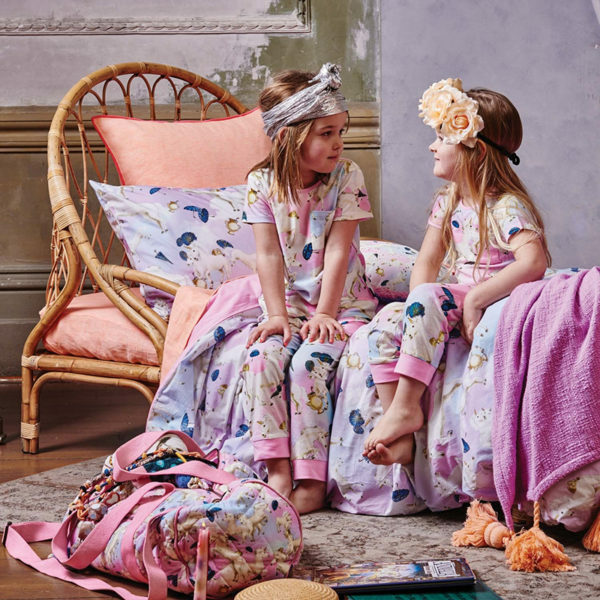 Let’s not forget that we’re still mad about all things unicorns at Babyology – and needless to say the Unicorns and Umbrellas print is high on our wish list – so many unicorns, so much lilac and purple – swoon! To see this gorgeous collection in its entirety, head on over to Kip&Co.